This War of Mine: Stories is a more story-based spinoff of 11 bit studios’ survival game This War of Mine. Stories focuses much more on the narrative of various characters living through the Siege of Sarajevo, without as much of the action and survival focus that was the base of the main game. The first episode being released on mobile is “Father’s Promise,” which tells the story of a man trying to save his daughter from the horrors of war and escape a besieged city. The titular father, Adam, spends much of the episode struggling to preserve the last pieces of humanity his family can cling to. Naturally, it’s a bit of a depressing tale, but that’s fitting considering the subject matter. This War of Mine: Stories will release on iOS and Android on March 27, 2019 just in time for PAX East. 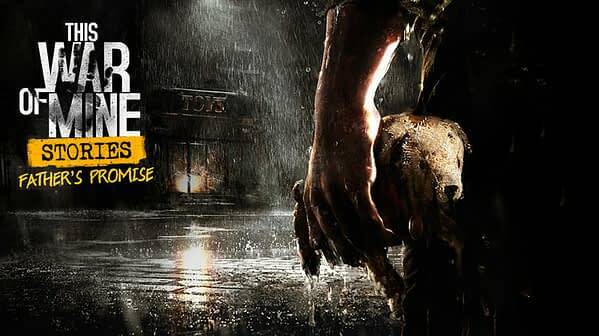 This War of Mine, the base game, is available now for Xbox One, PS4, iOS, Android, Nintendo Switch and PC.